Made from Italian tomatoes which have been sieved to remove skin and seeds. 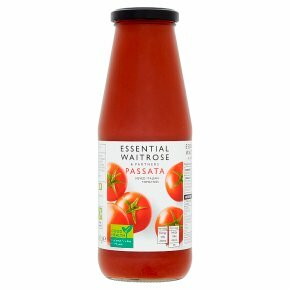 Passata is creamy and smooth, ideal as a base for soups, sauces, casseroles, stews and pasta recipes. INGREDIENTS: tomatoes, acidity regulator (citric acid).